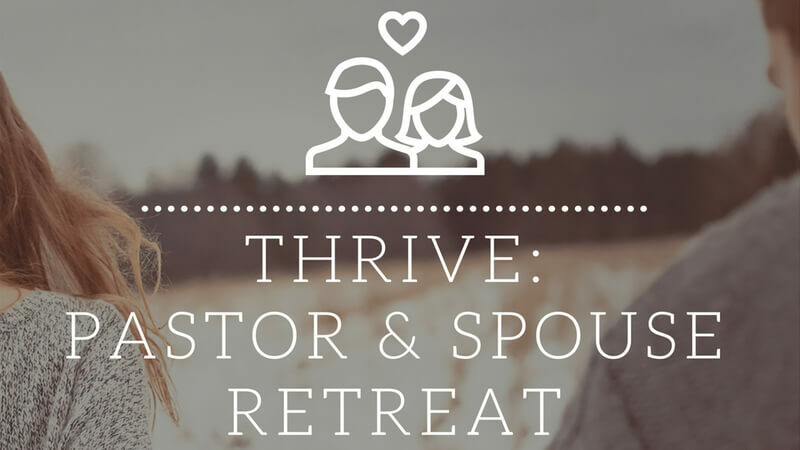 We are so excited to have Darcy & Leanne McAlister joining us for the 2019 THRIVE: Pastor & Spouse Retreat! This is always a very enriching weekend for pastors and their spouses. We hope to see many of our pastors and their spouses taking advantage of this enriching weekend. This event will feature a couples cafe, banquet, fellowship, and great messages from our featured guests. Be one of the first 10 couples to register and you will be entered to win a $50.00 gift card to a restaurant of your choice! Don’t miss out on this opportunity for an extra date night with your spouse! Darcy and Leanne McAlister serve in Canada with the Pentecostal Assemblies of Canada. Darcy is the Personnel and Family Life Director and leads a team who recruits, assesses, sends and cares for global workers. Leanne coordinates ZOE Networks, which facilitates leadership development and discipleship with Canadian women (ZOE Discipleship) and connects Canadian women with the great work our global workers do with women overseas (ZOE Projects). Although they have different areas of responsibility they love to teach, preach and do life together. Leanne and Darcy are passionate about seeing leaders thrive in all areas of life with Jesus at the centre and have had opportunity to share that passion both in Canada and internationally. The McAlisters are based in Langley BC and are launched from Living Waters Church. They have 3 young adult children who married within an 11 month span in 2016 & 2017… Their dog remains home and is quite confused by it all!